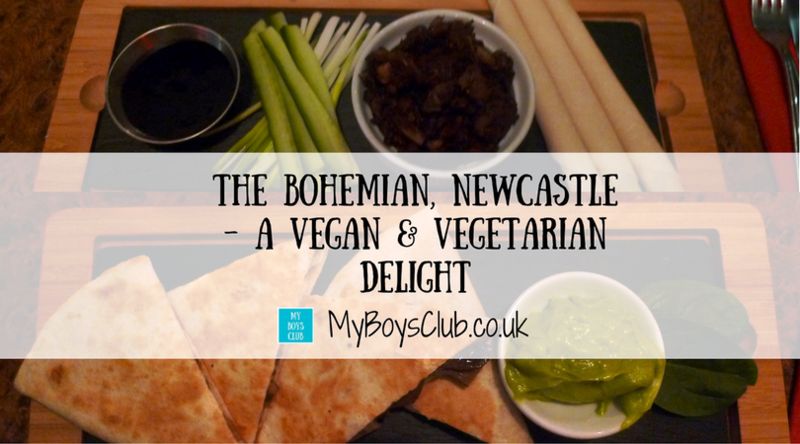 To celebrate the New Year (slightly early), me and the hubby ventured out without the boys on December 30 and, ahead of Veganuary (where people try going vegan for the month of January), I booked a table at The Bohemian on Pink Lane in Newcastle upon Tyne. For anyone reading who doesn’t know of The Bohemian, it is a Vegan & Vegetarian Restaurant with a bar and it's own vinyl record shop! They offer everything from a light lunch, or a cocktail and tapas, to a 3-course evening meal. The Bohemian will also be part of North East Vegan Restaurant Week but more of that later. I have been vegetarian for 30 years, introducing some fish into my diet for health reasons, over the past two years. 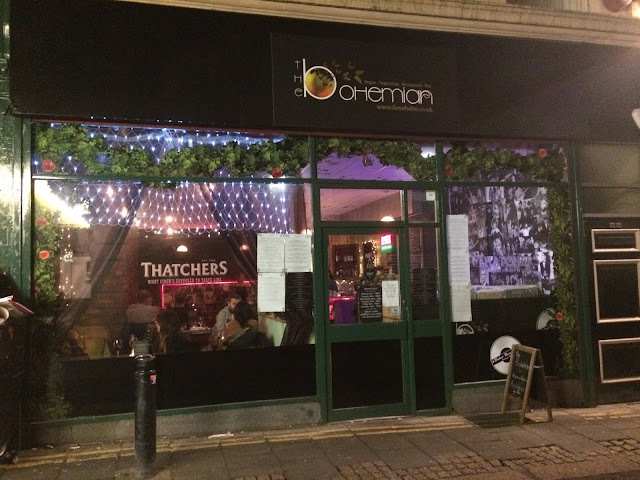 Hubby, without being fully vegan has cut down on most dairy and animal products so The Bohemian is a restaurant we have both been keen to try out. I booked online with no problems at all and when we arrived and had a table in the corner from where I could see the whole restaurant. We chose drinks first of all. Having already enjoyed a cocktail in The Botanist we stuck with the theme and ordered an Expresso Martini and a Boho Gatsby. Then we deliberated over food, choosing four different dishes so we could taste a range of options. For starters, I chose the Mushroom Quesadillas. These can be either Vegan or Vegetarian. The vegetarian option was crispy and delicious and came with a pot of guacamole. Hubby had always been fond of Duck Pancakes when eating in a Chinese Restaurant, so was intrigued by Jack Fruit Pancakes with Hoisin Sauce. They were amazing. Now I’ve never eaten duck but hubby said they tasted exactly the same as the duck pancakes he remembers fondly. You got three pancakes, hoisin sauce, spring onion and cucumber sticks and made your own. Both starters were recommended by our server and they were both dishes I’d choose again. Now for mains. Hubby went for the signature dish of Black Bean and Walnut Cheeseburger – fully vegan (although you can request a vegetarian version_ – and I opted for the Biriyani Baji Salad which is a vegan dish and comes with a side order of vegetable samosas. It was fresh, tasty and surprisingly filling – and I also felt very virtuous for having ordered salad. I was too full to order dessert but agreed to share one with hubby. I let him choose and it was the recommended vegan brownie that we decided on. 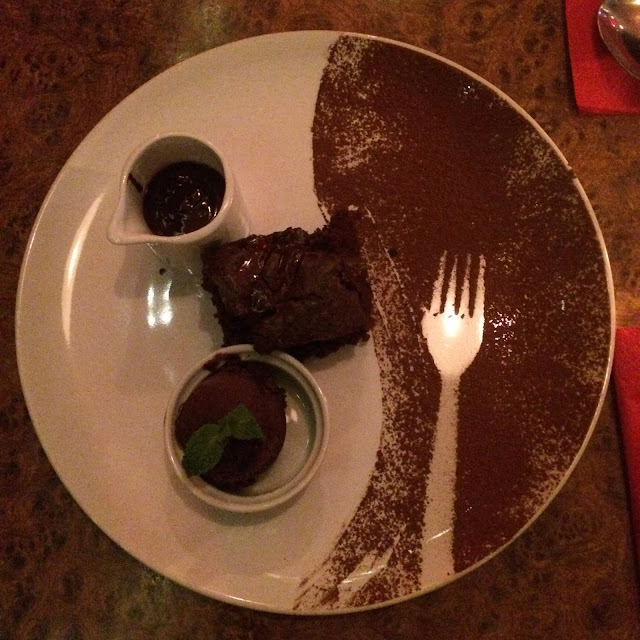 It came served with a delicious blackberry sorbet and chocolate sauce. I'm being very honest by saying its one of the nicest brownies I’ve ever tasted. Not too rich, not too heavy and I wouldn’t have known it was vegan without being told. Our first visit to The Bohemian was a success. 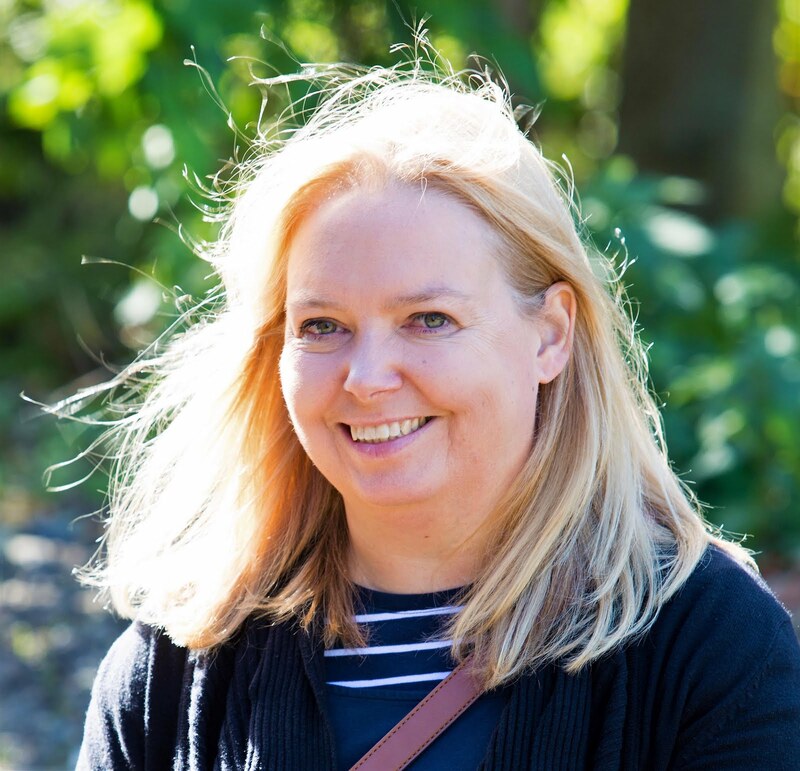 We both loved the food and the setting and will be back and also are going to try out the recipes at home when I find out where to buy Jack Fruit in Newcastle. The Bohemian is one of 37 eateries taking part in the very first North East Vegan Restaurant Week taking place between 23 and 29 January 2017. The idea of Vegan Restaurant Week, is to not only encourage the patronage of vegetarian and vegan establishments in the area like The Bohemian, but to also support cafes and restaurants you may not expect to offer meat and dairy-free dishes. Which Vegan or Vegetarian restaurants have you tried? The food looks amazing. I'm vegetarian and I love eating at veg*n restaurants, so I will keep Bohemian in mind.